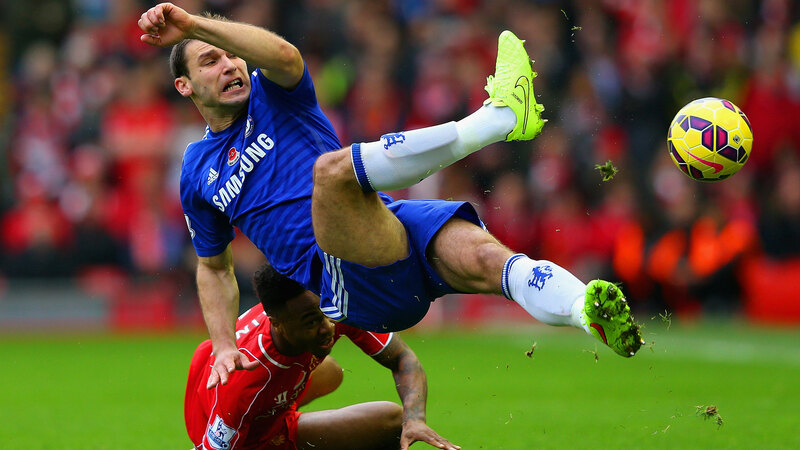 Look at Branislav Ivanovic and you won’t see the modern conception of a full-back. He’s no Dani Alves, getting to the end line, pumping in crosses, and pinning back opposition wingers. No, he’s a physically intimidating slab of Serbian sinew, with a questionable haircut and legs like two Doric columns. A glance at Ivanovic recalls the days when everyone who played defense really wanted to play defense — to make two-footed tackles, to launch clearances into the stands — and not do much else. Except Ivanovic defies that old-school classification, too. In fact, the 31-year-old seems to defy any classification. 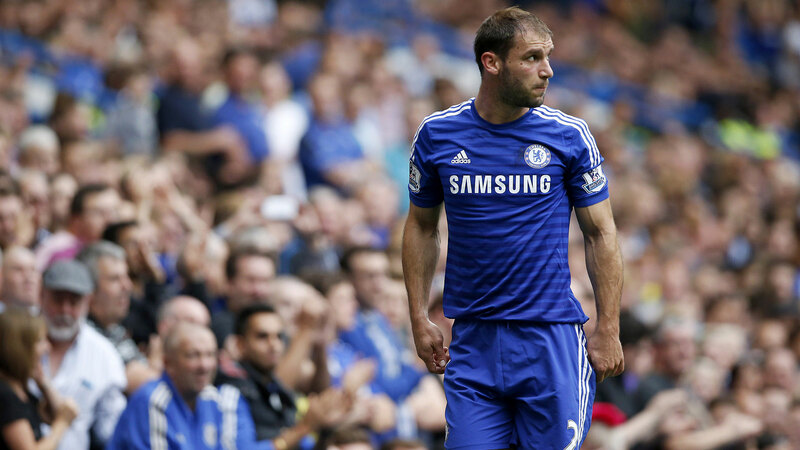 A right back on the team sheet, Ivanovic has become one of the best in the world by doing it his own way. Since José Mourinho returned to Chelsea in 2013, Ivanovic has scored seven total goals, more than any defender other than Seamus Coleman and Martin Skrtel, and four open-play goals, which is second-most behind Coleman.1 Over the same time frame, Ivanovic is also sixth among defenders with five assists and third with 59 chances created, behind the more typical full-back duo of Coleman and Everton teammate Leighton Baines. Ivanovic doesn’t just support the attack on Chelsea’s right side, he’s often the entirety of it. His marauding presence on the right side of Chelsea’s setup allows Mourinho’s attackers a freedom of movement that other teams struggle to deal with. Knowing that the man behind him will be able to fend for himself, Willian can abandon his right-sided attacking midfield position and sneak into pockets of space all over the field or overload defenders by combining with Eden Hazard or Oscar, Chelsea’s left and central attacking midfielders, respectively. Take Ivanovic’s assist from Sunday. After Hazard’s disruptive left-to-right run across the field, he drops the ball to Ivanovic, who then swings in a cross. Notice where Willian is: all the way over on the left side at the top of the box. Unlike many of his counterparts around the league, Ivanovic’s ball-striking ability allows him to cross the ball from less-advanced positions. While Pablo Zabaleta, for example, is one of the most dangerous attacking defenders in the league, he’s consistently getting very deep into opposing territory and crossing balls from close to the end line. Ivanovic can let rip from farther back, making Chelsea’s defense less vulnerable to counterattacks. And that’s just from open play. Chelsea are also monsters on both attacking and defensive2 set pieces. Unlike many of the aerially challenged full-backs around the world, Ivanovic forms a hefty portion of a menacingly beefy set-piece core that includes center backs John Terry and Gary Cahill, midfielder Nemanja Matic, and striker Diego Costa. On Sunday, with the game against Southampton tied at one, Matic narrowly avoided picking up a second yellow when he tripped up Sadio Mane to stop a counterattack shortly after halftime. Not wanting to risk his midfielder getting sent off, Mourinho promptly yanked Matic and replaced him with Ramires. In theory, this was a scary situation for Chelsea: Already under a lot of pressure from Southampton — being outshot nine to five before the sub — they were taking out their best defensive midfielder and replacing him with a less disciplined, more active attacking player. 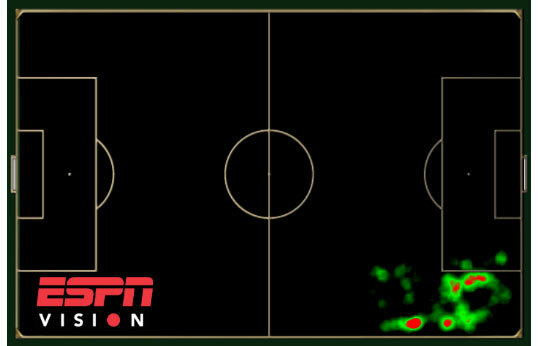 And yet after the change, Chelsea dominated, outshooting the Saints 17 to 3. What seemed like a straight swap actually led to the reorganization of Chelsea’s whole formation. 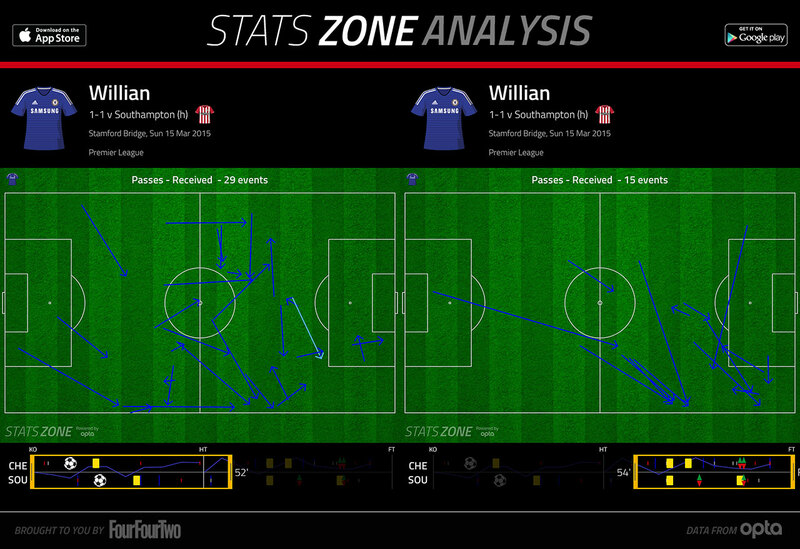 Willian went from freely buzzing all over the field to actually sticking to his nominal role on the right. And Ivanovic turned into a central midfielder. 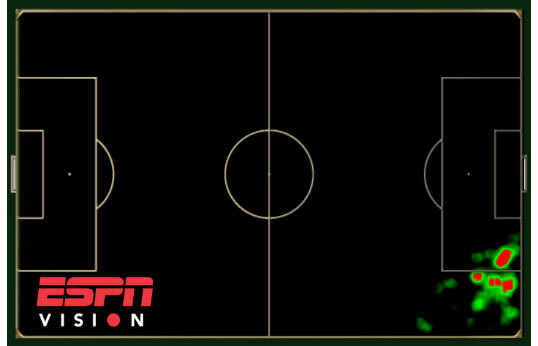 In effect, Ivanovic’s defensive versatility allowed Chelsea to change their approach and dominate the game. He has earned lots of attention for his attacking prowess, and deservedly so, but it’s really his malleability that makes him a perfect fit for Mourinho. Despite an incredibly stable and consistent starting 11, Chelsea quietly remain a very flexible team. Defensively, they can press or sit deeper and absorb pressure. Offensively, they offer several modes: Sometimes Willian and Hazard pair up on the same side. Sometimes Oscar drops deeper to run the attack or pushes higher as a second striker, and then one of the two wingers moves central to operate as a no. 10. Sometimes Costa functions as a primary outlet on the counterattack; other times it’s Hazard with Costa occupying the two center backs and functioning as a decoy. For a team that wants to maintain that fungibility but generally not change its personnel, Ivanovic is so valuable. There’s not another player in the league who can run a whole wing by himself, act like an extra center back on set pieces, and, in a pinch, become a better defensive midfielder than the guy who was starting. Oh, and if you need an emergency center forward, he can do that, too. Ivanovic might be the best right back in the Premier League, and he’s certainly unique. Those two things aren’t unrelated, either: Ivanovic doesn’t look like anybody else, he doesn’t move like anybody else, and he doesn’t play like anybody else — and that’s his biggest asset. Can we just pause for a second and discuss that Skrtel scored seven set-piece goals in the 2013-14 season? That’s not normal! Save for one exceptionally bad day at the office last week.